Show your next client that you carry insurance for your carpet cleaning business by quickly downloading our Certificate of Insurance online. You can even quickly and easily add any or all of your customers as an Additional Insured, and print as many copies as you need with no fees, ever. Thinking of growing from just rugs or carpets into furniture? Considering buying another machine? 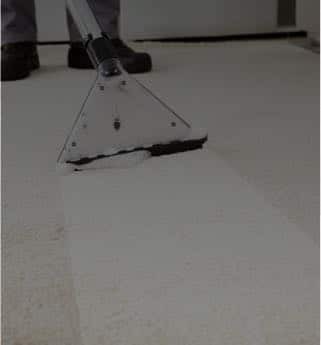 You're covered for carpet, rug and furniture cleaning so you can focus on building your business the way you want. And you can always cancel instantly online anytime you're not satisfied. Cash flow trouble? Our payment plans allow you to pay your business insurance premium on a monthly basis. That way, you can keep your carpet cleaning business running and be insured at the same time. Of course, we don't charge any extra fees if you choose that option. All plans include General Liability coverage; Pro and Pro Plus plans also include Professional Liability coverage. Your client slips and falls on a rug that's not yet dry and injures himself. The same client asks you to pay for their medical expenses, rather than pursue a lawsuit. These may be paid regardless of fault. While moving your equipment into a home, you accidentally knock over an expensive vase. It shatters all over the floor. A client sues you for using before and after images of his carpets and couch without prior consent. You made a bad calculation, and used the wrong carpet cleaner. Now your client's precious rug is ruined. If you purchased the Pro or Pro Plus plan which include Professional Liability Insurance, professional mistakes are covered.